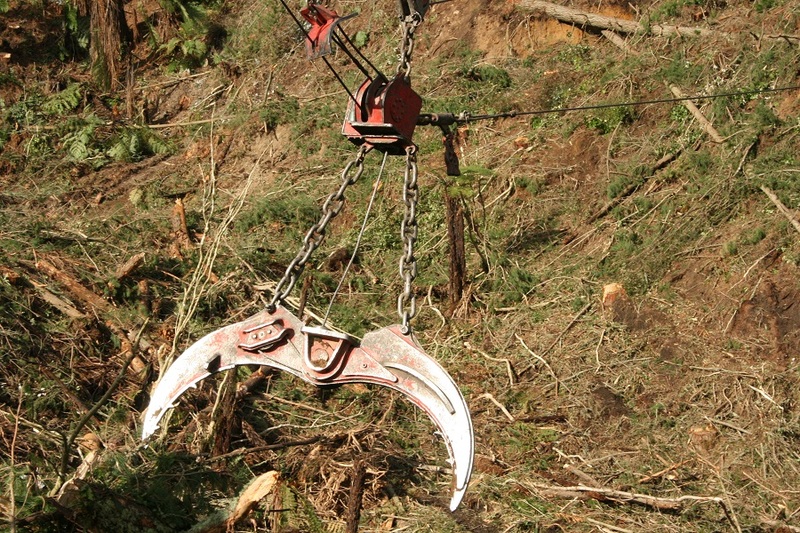 PF Olsen partnered with Longwood Logging’s Frank Carran in procuring one of the new generation Harvestline loader/yarders because this type of equipment is often far too expensive or just unavailable to contractors operating in smaller, yet difficult, forest jobs. The Harvestline has been purchased outright by PF Olsen and Frank is operating it under a lease-to-buy arrangement. 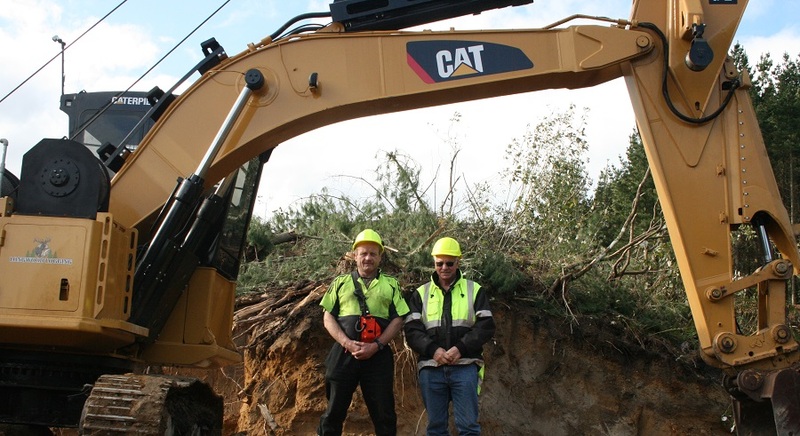 Frank's new generation Harvestline loader/yarder is set up on a Caterpillar excavator base - pictured is Frank Carran (left) of Logwood Logging and Peter Clark (right) of PF Olsen. “This specialised equipment is ideal for harvesting small, steep blocks with incised gullies – it minimises soil disturbance and therefore impact on the environment,” says PF Olsen’s Peter Weblin. “Frank impressed us as a harvesting contractor and we felt the Harvestline would lift his performance to another level. “Whilst PF Olsen is not in the business of owning plant and machinery or running logging crews, in this case we felt that we could play a useful facilitation role. The three drum configuration of this unit allows a grapple to replace the hazardous breaker-out job and boosts cycle time.